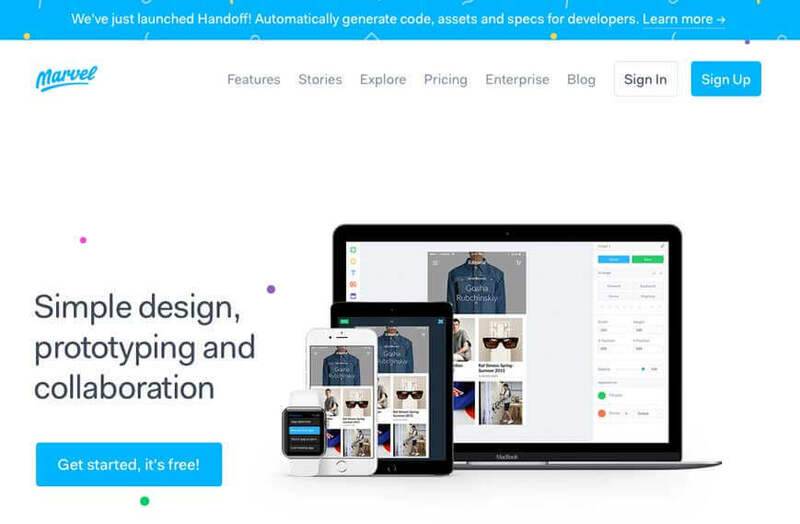 Top 12 Tools That A Mobile App Designer Must Have! App Builder Appy Pie, February 27, 2018: It is the essence of design to be ever evolving, dynamic, and subjective. There are a lot of factors and parameters that determine the change and evolution of design. It is true that each design project would be different, hence, the process is bound to vary for every project on the basis of the type of product that is being designed, the designer’s or the decision maker’s personal preferences, the size of the team, and other such variables. However, it is equally true that when it comes to tools, there would only be a handful that a designer would prefer to work with. 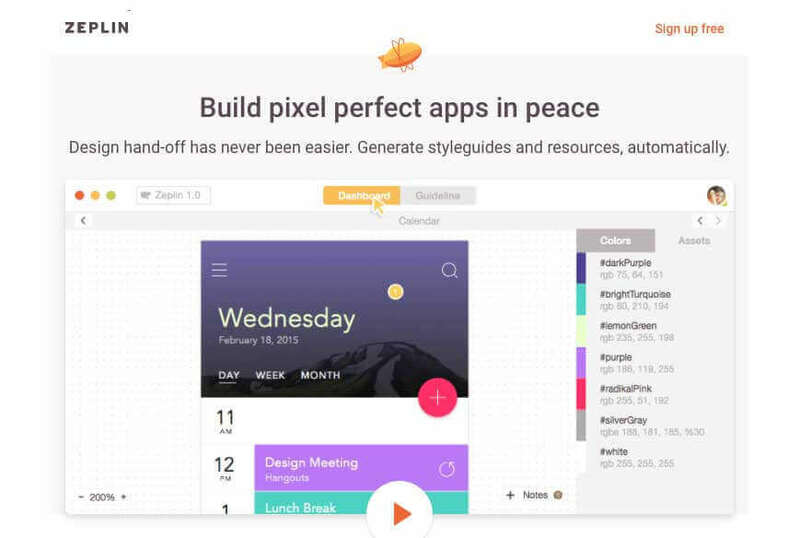 These tools are instrumental and serve as the foundation of the entire planning and brainstorming, help communicate the ideas clearly, present a solution for any technical issue to build some of the greatest animations and sort interactions with the developers. Since mobile apps have become a BIG thing and more and more designers are exploring and gaining expertise in Mobile App Designing, they have been working perseveringly in refining their design toolkit in the interest of speeding up the workflow and implement the right decisions in a timely manner. As a designer, you are probably aware that you’d need different tools for different phases of the design process. Following is a list of some of the most basic and common steps that any design process involves. Though the list could include a great number of other steps, but this list above can be a sound foundation to move ahead. As an organization, Appy Pie has decades of combined experience in working with Mobile App Design. Today there is no dearth of design toolkits for mobile apps design, and as a designer it is imperative that you make this choice carefully. The design toolkits include different inbuilt tools, plugins, and extensions to explore and put to good use. Appy Pie has explored quite a few of these tools and have compiled a list of 12 design tools that you must have as a mobile app designer. Quite simply put, OmniGraffle is an amazing tool for designing diagrams and making app flowcharts. It provides you the features and freedom to prototype screen flows, wireframe models, strategy maps, and a number of other diagrams with unlimited opportunities and scope. 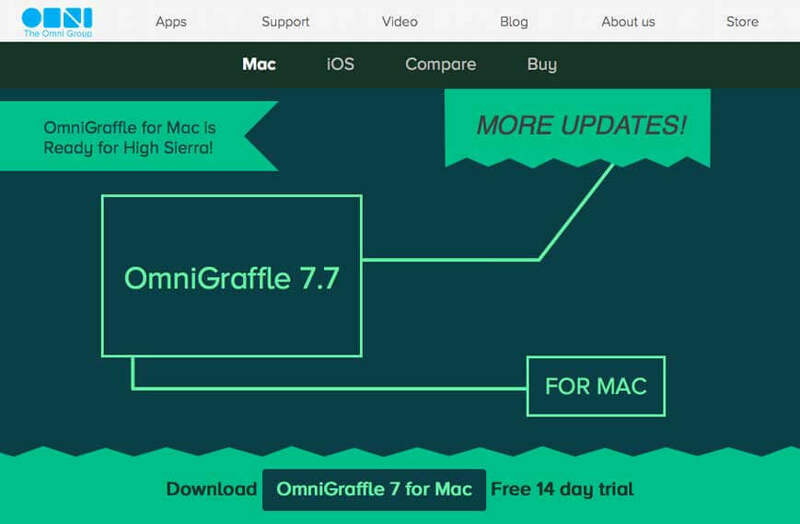 The software, OmniGraffle is ideal for Mac users who are in the process of sketching designs for their iOS apps. This software lets you alter the size of the canvas, layer the artboards, convert text to images, and set keyboard shortcuts. OmniGraffle is great for promptly and conveniently visualizing the entire flow of the mobile app you are designing. The software has pre-defined symbol and libraries and has interactions that innately familiar to you like layers and pages. This means that there would be a reduced number of roadblocks for you to face and sort out when it comes to positioning your ideas. It essentially provides you an uninhibited, infinite canvas that has limitless scope and no restrictions. As you move into the strategy and planning process, chances are you are going to want to make some changes in the flow of your app and OmniGraffle makes it possible so that you can set your arrows up to follow each other. Our team of mobile app designers use OmniGraffle at the time of planning and strategy for the creation of flowcharts and system diagrams for our apps. At the most elementary level, we could say that Marvel is a great tool or software to craft out interactive app prototypes. It is a sophisticated editor that lets a designer bring together all their designs in the blink of an eye and do so in a cohesive manner too. This software eliminates the need for expensive, complicated, and advanced programs for prototyping. This is one of the best platforms when you are planning to design an app for the Apple App Store and the prototypes created with Marvel are compatible with iPhone, iPad, Apple Watch, Apple TV, MacBook desktops, and MacBook laptops. Marvel works quite efficiently with Android devices as well. This makes it a great choice irrespective of the platform you are building your app for. Also, Marvel works perfectly for you if you were designing an app that would need to work on multiple screens. The system of this software is designed in such a manner that it is quite easy to navigate through the app, in an organized manner without losing focus. The designers can build prototypes of app interactions, animations, and transitions, which can then be shared with various stakeholders including the developers. These prototypes make it easy for you to share the whole flow of the app with the clients too, without resorting to static user flows. Marvel has proved to be of a great use, as it has eliminated the need for the mobile app designers to learn to use complicated and advanced software like Framer and After Effects if they want to integrate animations, transitions, or any other such elements into the design of their apps. With Marvel, the designers have the freedom to promptly make transition based animations across a big number of screens on the app. At Appy Pie, Marvel is used by the designers to build the prototypes of especially those apps that have quite a few screens with basic transition. 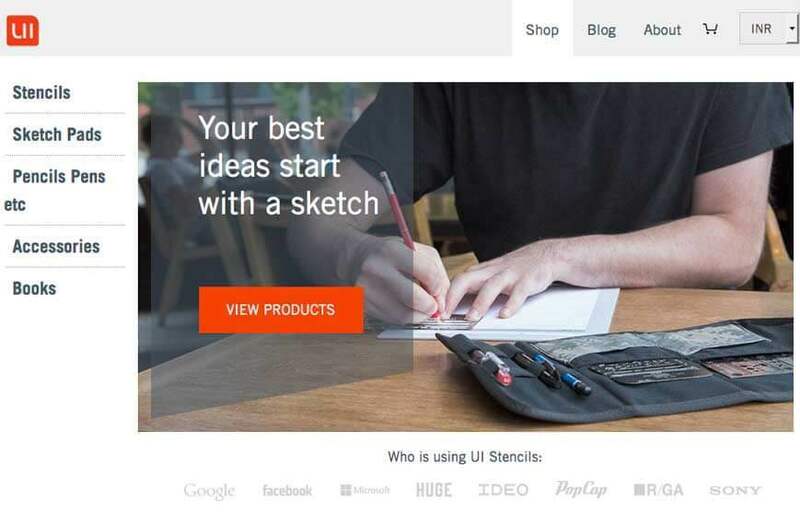 UI Stencils is the best option for designers when they are drafting early sketches of your design. Some of the greatest ideas begin with a sketch. The UI Stencils are made from steel, quite unlike those that are quite different from the cheap plastic stencils that we all had fun with, at school. The whole kit is quite professional and also contains a booklet of sketch pads and a carrying case to hold it all. The stencils are designed to suit the different size requirements as per the different device specifications. With UI Stencils you can sketch the initial design drafts of the mobile apps for all the iPhones, Android devices, and even tablet. The most common icons that you might need to draft the initial sketches are all there on these stencils. It helps you by providing you a general idea of the size of your design and the way everything fits or interacts with other elements within the app. One of the most valuable tools during the initial stages of app development when you are brainstorming. UI Stencils help us brainstorm in a more organized manner and keep the data and inputs collated in a better way when compared to simply jotting points down in scribbles. The sketch pads in the kit have a sticky top at the back, which means the team meetings are a lot simpler where you can stick these sketches up on the wall in order to pitch more ideas in a collaborative manner. At Appy Pie we use the stencils, only after a rough sketching session on the whiteboard, and before beginning to work on the wireframes in Sketch. 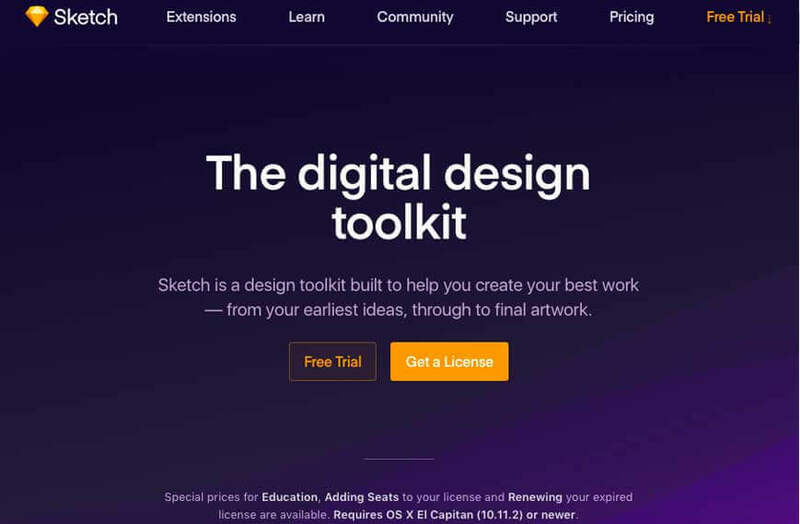 Sketch is one of those tools in your design arsenal that has functions quite similar to Photoshop or Adobe Illustrator, but has found its application in UX & UI design for apps. It has a unique capability to create symbols, buttons, headers, tabs, and other common components. Once you have created all these elements with Sketch, now you can go ahead and compile them in one place. Sketch is unique in providing exemplary ease of use. It makes the process of wireframing a lot faster while allowing an easy hand-off to the visual designers. At Appy Pie using Sketch means using the same tool in the visual design phase, which gives us the benefit of being able to update wireframes into high-fidelity visuals with great ease. MindNode is an extremely effective tool to build relationship maps. If you have a tendency to go a little wild with your ideas, this can prove to be one of the best design tools for you to stay organized. The tool has a great design of its own that has no features to distract or confuse you in any manner and has a very simple platform and interface. The system would even let you prioritize your tasks when you are working on a design, set deadlines & reminders to stick to the overall timeline you have developed for the entire project. The usability quotient of the tool is pretty high as it allows you to fold or unfold individual nodes whenever you might need to take a look at them for your design process. Using MindNode is made a lot of fun because of the different style options and layouts that you can choose from. 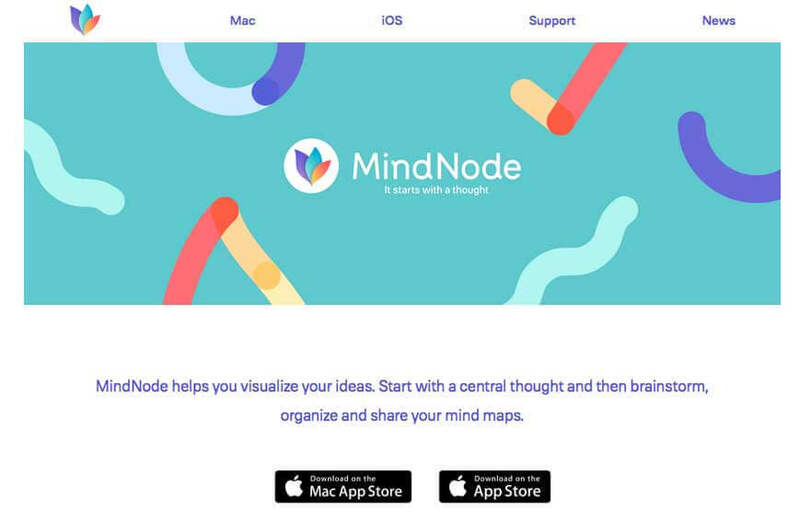 Also, sharing with MindNode is easy as it is a cloud software that allows you to conveniently share your project and its progress with different stakeholders, for a genuinely collaborative effort. The sole purpose of the tool is to help keep your thoughts and ideas organized, and since it doesn’t have unnecessarily distracting features, the software does its job really well. Another great advantage of using MindNode is that it offers great flexibility and makes it easy to reorganize the thoughts to keep pace with the expansion in the thought stream, acquire new relationships, and changing priorities. The nature of the tool is inherently flowy, which means that you wouldn’t have to slow down for anything making it an effective mind mapping tool, and at Appy Pie we use it to organize ideas and feature requests from customers. An oldie but a goodie indeed, Photoshop is THE classic design tool for any designer worth their salt. This is one of those software that have drastically evolved and improved with time. It might have begun as a tool for cutting and pasting pictures, but today it is lightyears ahead of doing just that. 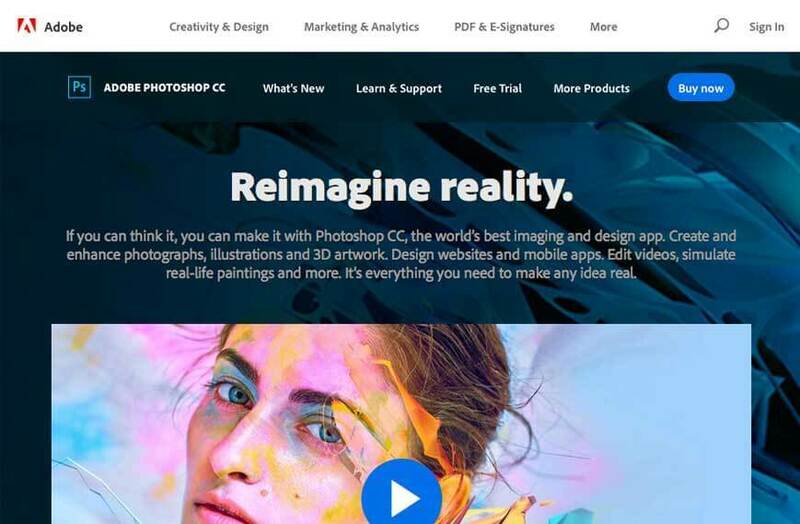 If you are a mobile app designer with artistic inclination, then Photoshop is perfect for you! Great for bitmap manipulation, Photoshop has features like advanced blending, layering, textures, lighting, blurring, and so many more! While Sketch might have a more specific mobile and web focus, but Photoshop is still unparalleled when it comes to advance photo or bitmap manipulation. The simplest of tools may at times prove to be the most effective! As a designer you should be able to make use of pen or pencil and paper or a notebook to list, sketch and map the thoughts out all through the process. This is something we have been doing since times immemorial and it hasn’t really lost its charm or effect. 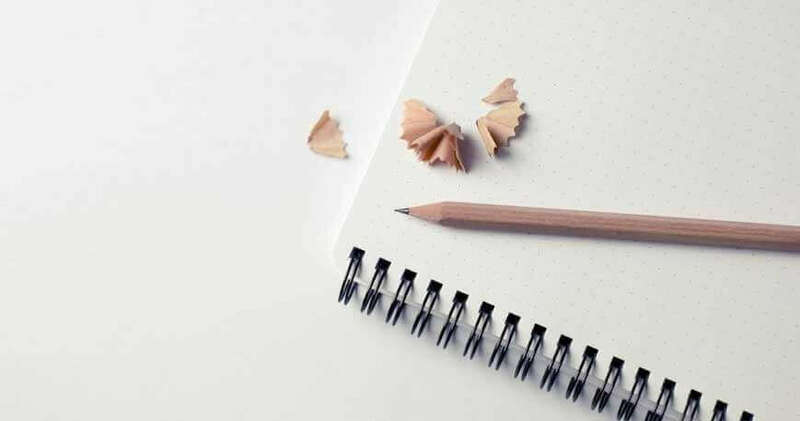 Carry a little black book and a pen in your pocket and you have the tool at your disposal, without having to depend on any gadget, electricity, charge or any of the new age necessities. This can give you a great perspective before you start using your computer, so that you can have a clearer understanding of the way you want your design to look like. There might be an entire horde of design tools out there that would let you create some basic animations. However, if the app you are designing has complex animations and/or interactions, Principle is the way to go! It is especially of great use when you want to present advanced interactive prototypes. The software relies more heavily on timeline control and allows for more complex animations and transitions. 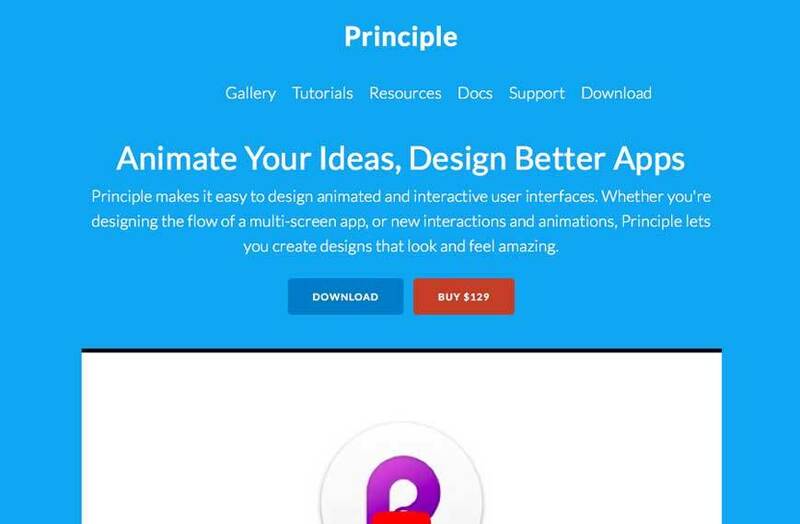 Principle is unique in the depth of control that it provides makes it perfect for building, testing, and for effectively presenting some of the more complex animations which focus largely on functionality like navigation for example. At Appy Pie, Principle is used to present a limited number of screens with a specific, intense animation for other stakeholders including developers, clients, etc. The name of this tools is kind of self-explanatory. Proto.io is a highly effective tool for prototyping different templates. However, we must acknowledge that there is more to it, because it even allows you to design custom animations on it. It is this combination of elements that makes it rise above everything else that exists in the market, making it one of the most sought-after tools by mobile app designers. This zero coding wireframing tool helps the designers make highly engaging prototypes that have the look and feel which quite closely emulates the real functioning of the app that you are developing. Proto.io can be used to test the prototype on multiple devices. It has some actionable features that increase your efficiency by establishing sync with Dropbox, offering adaptive UI libraries, material design UI library, offline mode and many more. 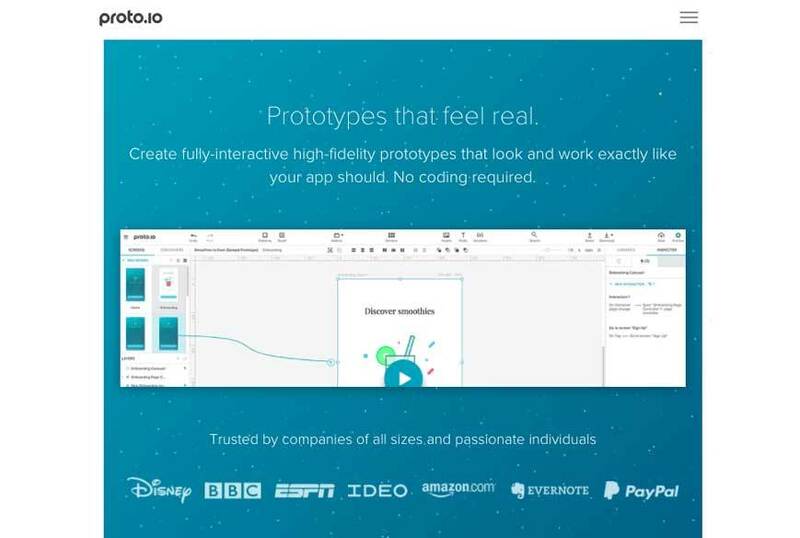 Proto.io is great for designers as it allows the designers to incorporate quick changes and then share the prototype with the rest of the team members. It is a plugin and a web app that is compatible to work only with Sketch. This plugin makes it possible to compile all the aspects of selected elements in the form of an interactive specification sheet which greatly simplifies the hand off between the design team and the team of developers. The specification sheets created here are almost like living, breathing, and interactive virtual entities. The biggest benefit of this plugin is that you would not have to wait till the end of your design process to pass on the specs to the development team. This effectively cuts down the time spent on making repetitive spec sheets and endless modifications that need to be done on it. This is the magic wand that designers look forward to wave! 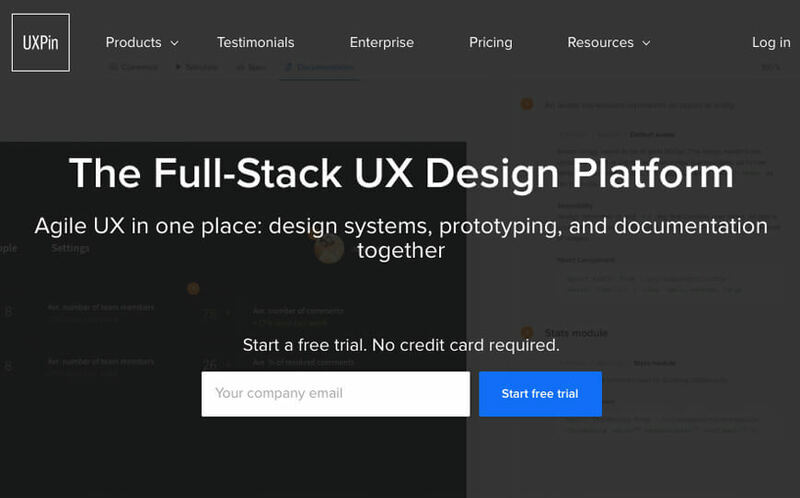 UXPin lets a designer create UX without using any code. Whether you are designing on Sketch or Photoshop, you can easily integrate them into and work on UXPin. Not only is the import process super simple, but you can even create some great workflows with it. UXPin can even be used for wireframing, even though it might not be the most specialized of them all. It is a unique tool for an app designer, as it helps you store all the icons you want in an organized manner. These icons are stored within a single hub where you may search for specific icons or browse the whole collection with great ease. It even lets you drag the icons to other software including Sketch, Illustrator, Photoshop. 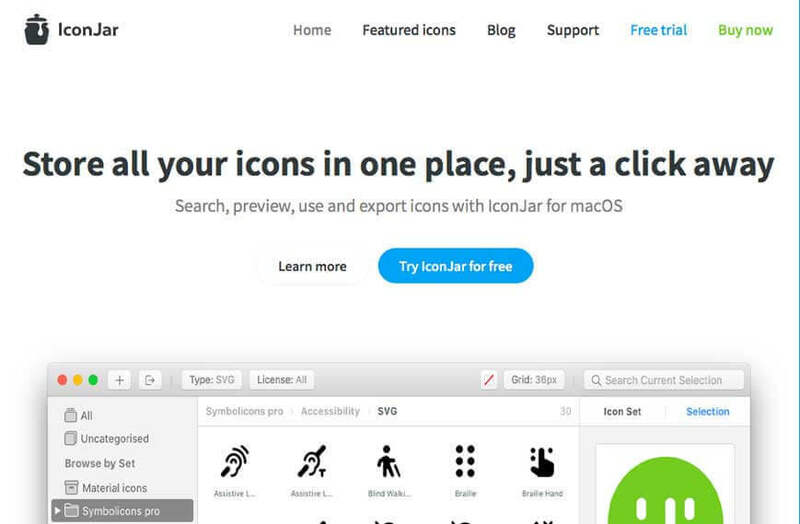 Iconjar is a big timesaver where you can locate existing icons for icon design ideas.